The China Study is based on a whole foods, plant-based (WFPB) diet, that avoids meat, dairy, added oil, and sugar. The WFPB diet was researched and written about by T. Colin Campbell, PhD. 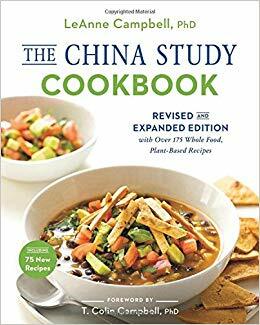 The China Study Cookbook (Revised and Expanded Edition) is written by Campbell’s daughter, LeAnne Campbell, PhD. According to the original China study, many research studies found that a diet containing animal protein is detrimental to your health. I personally believe you can find studies and research that support any diet you want to believe in. I also believe that eating a healthy, balanced diet with some meat, dairy, and loads of fresh fruit and veggies and healthy fats is best. 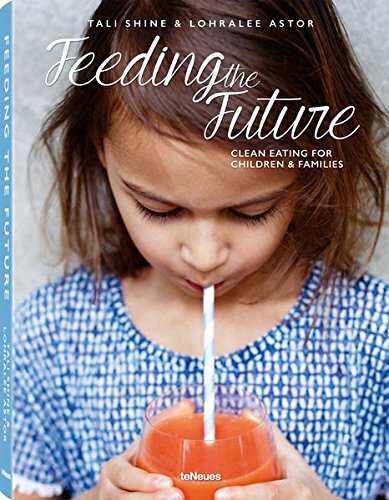 I understand the humanitarian and the environmental effects of consuming meat and dairy, but I believe everything (even the junk food) in moderation is okay. I tried the Quick Three-Bean Soup recipe; however, I substituted the vegetable broth for bone broth. I personally believe in the nourishing benefits of bone broth, and that was what I had in the fridge. Although I am not a bean connoisseur by any means, my children really enjoyed the soup. I also tried the Blackberry Ginger Jam. Blackberries are in season now, and I loved how Campbell incorporated chia seeds into the jam to make it healthier. Instead of the pectin you typically find in store-bought jams, the chia seeds help thicken the jam up, with added health benefits. It’s a win-win! I’m intrigued by some of her desserts, so I will probably try those next.